Joomla, an open-source CMS (content management system) trusted by millions are endowed with over thousands of extensions and designs for creating versatile, user-friendly and mobile-ready websites. The changes in online trends and the needs of a fast-paced corporate world have initiated the need for a strong web presence and online popularity. With over 35 million downloads and still counting, Joomla has been estimated as the second most used CMS on the internet after WordPress. The vast Joomla extensions directory has helped extend the Joomla website’s ability to deliver. There are five types of extensions for Joomla each handling a specific function. They are: Components, Modules, Plugins, Templates and Languages. If you want to sell online, there are actually several innovative and intuitive eCommerce plugins to create a fully customisable, content managed ecommerce website. You can enjoy the ability to manage your products and content conveniently in one place. Joomla eCommerce solutions provide the flexibility and scalability that allows you to enjoy a competitive edge over your competitors. 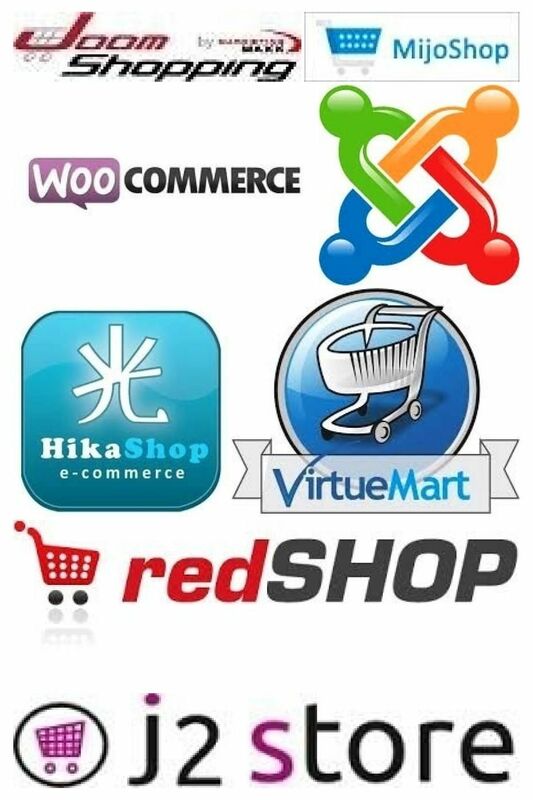 Prior to 2010, Joomla ecommerce websites were created using only one all-in-one shopping cart solution – VirtueMart. But, recently the scope of Joomla ecommerce development has increased with new all-in-one shopping cart entrants such as redSHOP and Tienda. A wide range of Joomla extensions and plugins for eCommerce has been introduced to form an effective all round business website development solution. Let’s take a look at the 10 top-rated Joomla ecommerce extensions for website development. Joomla eCommerce development is a cost-effective way of creating high-performing ecommerce websites. And, the fact that most of the extensions and plugins are open-source or free to download has greatly supported and enhanced the usability and efficiency of Joomla. New Vision Digital is a web development company providing a wide spectrum of services including Joomla cms Development, WordPress Development, eCommerce development services. Company prides itself in its ability to offer cutting edge solutions to clients in their respective market niches. Many thanks a whole lot regarding giving this specific wonderful folks you truly know very well what you will be talking about! Bookmarked. Amazing things the following. We’re quite satisfied to see your post. Appreciate it a good deal with this particular looking forward to speak to anyone. Are you going to nicely shed me a snail mail?